Prince estate dispute progressing as industry experts will be involved with the estate. I recently found an update related to the Prince estate dispute. The article is found here. It outlines the progress that has been made to date. My initial comment on his passing (found here) was done shortly after his death. At that time, the cause of death was not clear. It has since been established as a fentanyl overdose. Fentanyl is a powerful opioid that is many times stronger than heroin. Prince may have had substance dependence and abuse problems. Another aspect of the dispute that was unclear was whether or not there was a will. According to various reports, there still is no known will. As a result, the allocation of the estate to beneficiaries remains unclear. Furthermore, as there was no will in place, the oversight of the estate was up in the air. 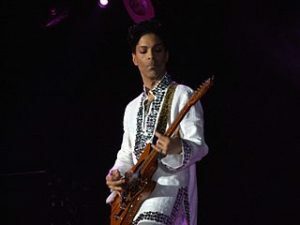 Prince’s younger sister Tyka Nelson allegedly filed paperwork requesting a Court in Minneapolis to name Bremer Trust, a bank where Prince conducted business, to oversee his estate. According to Minnesota law his estate would go to his closest relatives because he had no children. There is no ruling as to who the heirs are, or as to how the estate should be allocated. A Judge has now ruled that Bremer Trust will be able to hire industry experts to help manage the estate. Justice Kevin Eide ruled that Bremer Trust may hire and retain industry experts. This was done to maximise the value of the Prince estate. The industry experts will also help with business decisions that need to be made promptly on behalf of the estate. According to Justice Eide, the industry experts are needed not only to protect the assets of the estate, but to build on them over time. The introduction of industry experts into the dispute will likely have a positive impact going forward. Whenever a superstar’s estate is the subject of a dispute, various streams of income must be protected. Publishing rights, intellectual property rights, image rights, and various endorsements ought to be protected. This is especially important in a situation like the Prince estate dispute where the parties are likely to fight over their rights for a long period of time. Independent professionals should always be involved to ensure business decisions are handled correctly. The decision to introduce industry experts at this stage will likely result in the beneficiaries receiving more in the long run. Stay tuned for further updates.